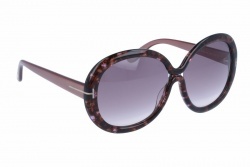 Tom Ford glasses for women are elegant and sophisticated. Aesthetically, the brand denotes style and it gets into the luxury world without making an excessive use of decorative elements. In order to achieve innovative and modern touches in its models, Tom Ford uses little details that together with the rest of classical elements conform a perfect combination. 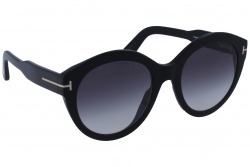 Tom Ford proposes sunglasses for women with timeless designs and basic colours such as black and havana. The brand also uses colours such as turquoise and pale pink in some of its designs. With this, it pretends to take off some seriousness to the sunglass, giving to it a youthful touch without losing the brand's essence. 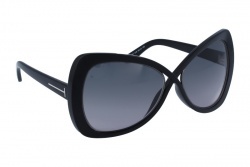 Regarding the shapes, it is important to highlight that the brand bets for cat eye and square models. Through them, it creates very attractive frames that attract all the attention. 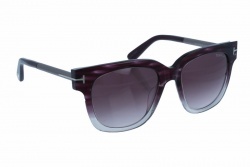 Tom Ford eyeglasses for women can be differentiate according to their frame's material: acetate or metal. Acetate and metal are the two main materials. These two elements give lightness and firmness in equal parts. On one hand, the acetate always gives a resistance sensation while the metal is lighter. During the last years, the brand has been popularized in a considerable way. 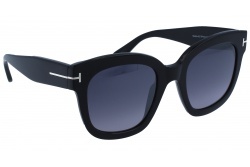 Such was the case that there a numerous famous that has opt for Tom Ford glasses. Angelina Jolie, Jennifer Aniston or Penelope Cruz are some examples. These celebrities have been seen in different occasions with Tom ford sunglasses. 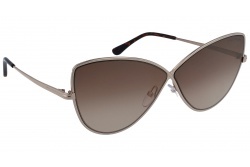 Inside our website, you will find a great variety of Tom Ford glasses and sunglasses at the best price. Come and visit our page, our team will help you during the purchase process if it is needed.